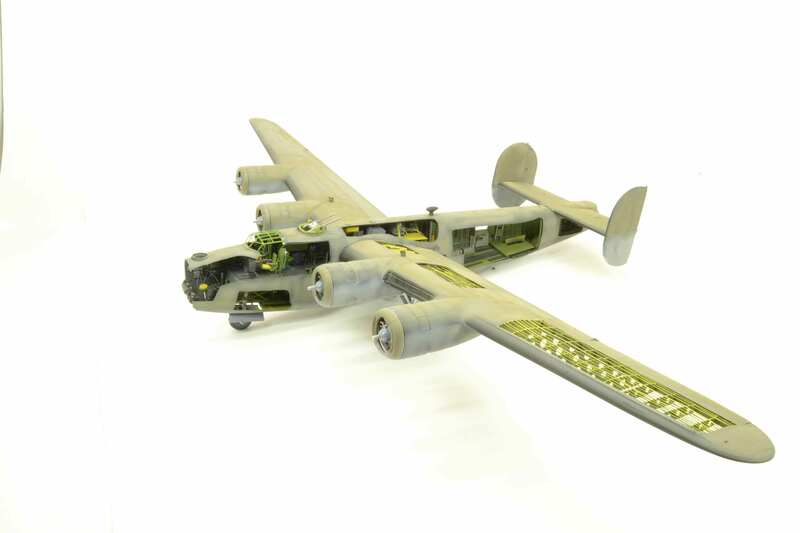 Just a brief update on the 1/48 Revell B-24D. The fuselage is closed and the wings are there but not glued, maybe not at all. Only real issues have been with the tail. I have split the lower section four times and the upper twice. Excellent work on the D model, but the R-M D kit has a big faux paux mistake. 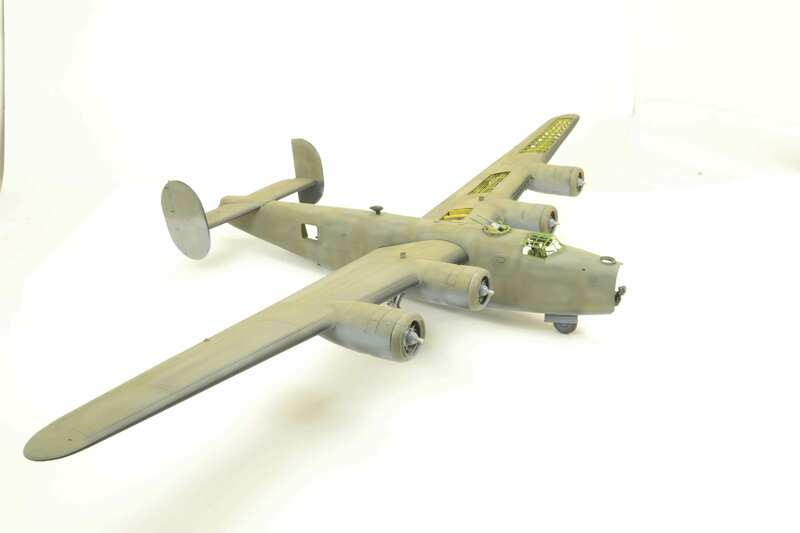 Generally all Liberators until the H models had the nose landing gear doors folding upward, not downward. There were certain H models and early J models which had upward folding gear doors. Since you are going to put the build in a magazine, I just wanted you to correct it before publication. Yeah, how about that! I never knew this, till I read your post. I just did a search on photos of B-24Ds and noticed in every photo of a parked -D that the nose wheel doors are not visible. This is a very interesting detail! Along with photos of real Liberators, I found a lot of photos of the built-up Monogram kit, and every one shows the doors opened outward. It's intuitive that they'd open outward, so we don't question the instructions. The blogger suggests checking the Detail & Scale number on the B-24 for more reference info. I've been following your build and am glad you have opened one side--which is impressive--and closed the other. In reading recent posts, I have to admit the nose landing gear arrangement in the instructions had me purplexed. I finally tucked them inside, but later considered digging them out. I'm glad the Baron brought the discussion forward and to a close, for me at least. This is great and that's a dang fact but I do have one question. Just how much masking does a guy have to do when glossing, decaling, final clear coats and weathering anyways? You are all very kind. Got the solution for the gear doors.